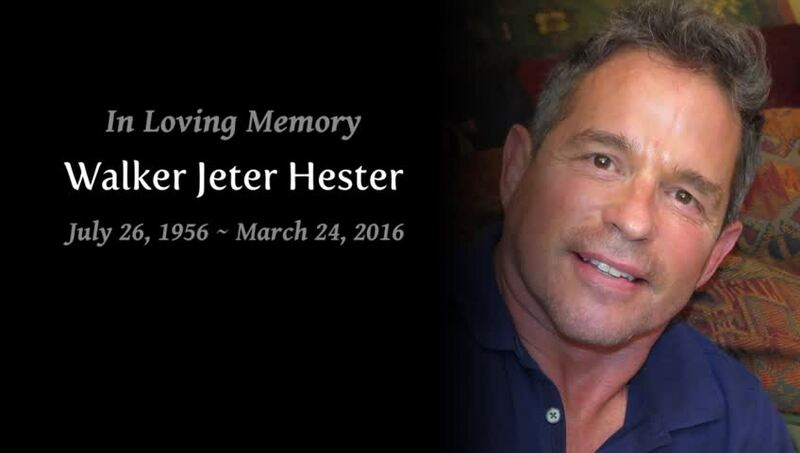 Walker Jeter Hester, 59, a beloved father, son, brother, Veteran Naval Aviator, and devout Christian, passed away in an accident while test-flying his newest airplane. Born in New England but a true son of the south, he graduated from Germantown High School in 1974. After completing a degree in Journalism at the University of Memphis, he served in the United States Navy as a Naval Aviator, call sign “Boxer.” Following an honorable discharge in 1987, he joined Delta Airlines as a First Officer, progressing rapidly to Captain. Walker’s greatest passions were his work in evangelical prison ministries, cheering on the University of Tennessee Volunteers, and traveling to Charleston, SC to spend time with his beloved daughter, Laine. A daredevil at heart, Walker pursued adrenaline pumping adventures from aerial-acrobatics, to motorcycle racing, to powered paragliding. We celebrate his life as he is welcomed into the Kingdom of God and is joyously reunited with loved ones. On March 24, 2016, about 0748 eastern daylight time, an experimental, amateur-built Harmon Rocket II, N729PS, was substantially damaged when it impacted terrain near Cheraw, South Carolina. 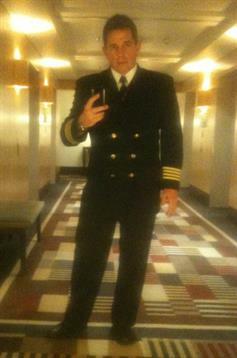 The airline transport pilot was fatally injured. The airplane was owned and operated by the pilot under the provisions of Title 14 Code of Federal Regulations Part 91. Visual meteorological conditions prevailed, and no flight plan was filed for the local personal flight, which departed Cheraw Municipal Airport (CQW), Cheraw, South Carolina, about 0710. Witnesses observed the airplane flying at or near treetop height at several locations in and around the town of Cheraw on the morning of the accident. One witness, who was working alongside the Pee Dee River, stated that, just before the accident, the airplane was flying along the river about treetop level when it struck a power line. An electronic primary flight display and engine monitor system were recovered from the accident site and forwarded to the NTSB Vehicle Recorder Laboratory for examination. Review of the downloaded GPS data revealed a low-level flightpath consistent with witness statements. During the 7 minutes before the accident, the airplane overflew an airport and the Pee Dee River at altitudes as low as 50 ft above ground level. Review of the engine monitor data did not reveal any preimpact mechanical malfunctions. 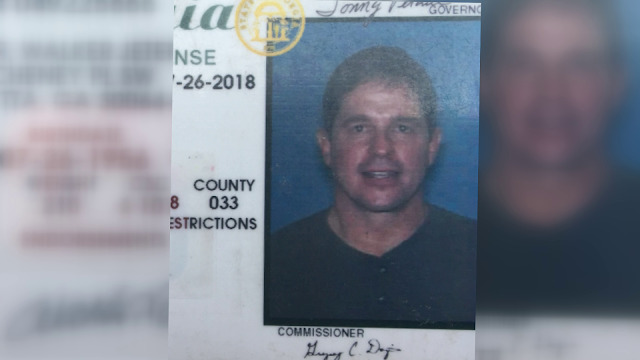 According to Federal Aviation Administration (FAA) records, the pilot held an airline transport pilot certificate with ratings for airplane single- and multi-engine land as well as a flight engineer certificate. His most recent FAA first-class medical certificate was issued February 25, 2016, at which time he reported 13,289 total hours of flight experience and 31 hours in the previous 6 months. A witness reported that the pilot had accrued about 35 hours flight experience in the accident airplane make and model. The tandem, two-seat, low-wing, fixed tailwheel airplane, serial number 414, was assembled from a kit and issued an FAA experimental airworthiness certificate on January 21, 2016, which was when its most recent condition inspection occurred. It was powered by a 250-horsepower Lycoming O-540 engine and equipped with a Hartzell two-blade, fixed-pitch propeller. Review of the airplane's logbook revealed that, at the time of the condition inspection, the airframe had 0 hours of operation and the engine had accrued 590.5 hours since major overhaul. Additional maintenance was performed on March 8, 2016, due to a propeller strike. At the time of that maintenance, the airframe and engine had accumulated 12 hours since the condition inspection. The 0755 recorded weather at CQW about 3 nautical miles west of the accident site, included wind calm, visibility 5 miles in mist, and a clear sky. Examination of the accident scene by an FAA inspector revealed that two power line cables were found severed about midspan between two towers, one on each side of the Pee Dee River. The airplane came to rest on a wooded island about 150 yards north of the power line crossing and about 50 yards west of the river bank. Damage to the trees surrounding the wreckage was consistent with a near-vertical descent. The airplane came to rest in a nose-down, inverted attitude. The upper surface of the engine cowling and canopy were crushed, both wings exhibited leading edge damage consistent with several tree impacts, and the left main landing gear was separated at the fuselage. The empennage was partially separated from the fuselage and bent upward and forward with severe crushing in the aft direction. One section of power line cable was found next to the fuselage, and another was found wrapped around the engine cowling. Flight control continuity was confirmed from the control stick and rudder pedals to the ailerons and rudder, and from the control stick through an overload fracture in the push-pull tube to the elevator. Examination of the wreckage did not reveal any preimpact mechanical malfunctions. The engine crankshaft was fractured in overload just aft of the flywheel. The flywheel, propeller, spinner, and hub remained attached to one another and were found near the rear of the main wreckage. The propeller exhibited gouge marks in the leading edge consistent with the diameter of the power line, as well as scrape marks on the leading edge and rear of the blade that were consistent with impact with the cable. Both blades exhibited s-bending. The Chesterfield County Coroner's Office, Chestertown, South Carolina, performed an autopsy on the pilot. The autopsy report noted the cause of death as "multiple blunt force injuries." The FAA's Bioaeronautical Sciences Research Laboratory, Oklahoma City, Oklahoma, performed toxicology testing on specimens of the pilot. Review of the toxicology report revealed cyclobenzaprine, norcyclobenzaprine, and diclofenac in blood and urine, 0.004 µg/ml zolpidem in blood and 0.005 µg/ml in urine. Cyclobenzaprine (of which norcyclobenzaprine is a metabolite) is a prescription muscle relaxant with potentially impairing mental and physical effects. The laboratory was unable to determine the amount present in the specimen. Diclofenac is a prescription analgesic and is not considered to be impairing. Zolpidem is a potentially impairing prescription sleep aid with a therapeutic range of 0.025 to 0.30 µg/ml. 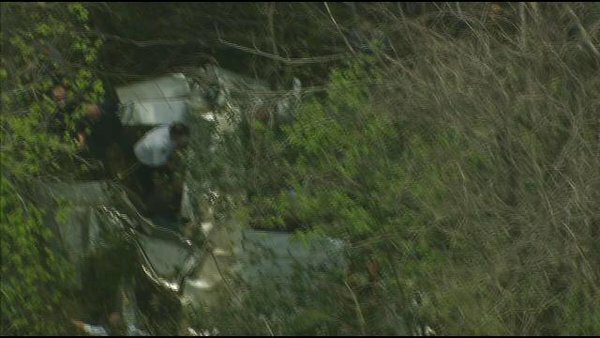 CHERAW, SC (WBTW) – Chesterfield County officials say the single occupant of a small, private plane that went down near the Great Pee Dee River Thursday morning was found deceased in the aircraft. Sheriff Jay Brooks confirms his deputies discovered the plane after farmers north of Cheraw reported the aircraft went down around 10:15 a.m. in or near the Great Pee Dee River. Chesterfield County Coroner Kip Kiser identified the pilot as 59-year-old Walker Jeter Hester of Atlanta. A local pilot flew searchers over the area, and they did spot some debris and downed power lines, says Sheriff Brooks. Searchers later discovered the plane but had difficulty getting to the wreckage as the aircraft went down in very swampy terrain, explains Sheriff Brooks. There is no information yet on where the plane may have been flying from or what the destination for the aircraft may have been. 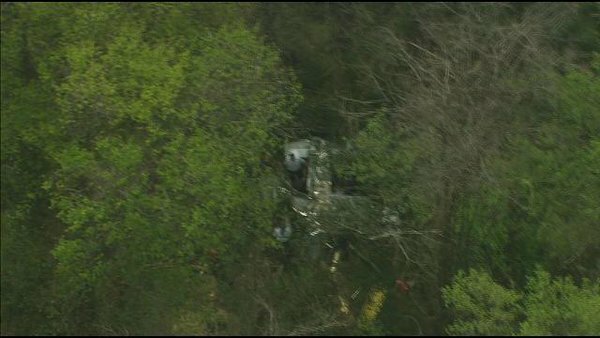 CHESTERFIELD COUNTY, S.C. – Investigators with the FAA are trying to determine why a small experimental aircraft crashed in Chesterfield County. 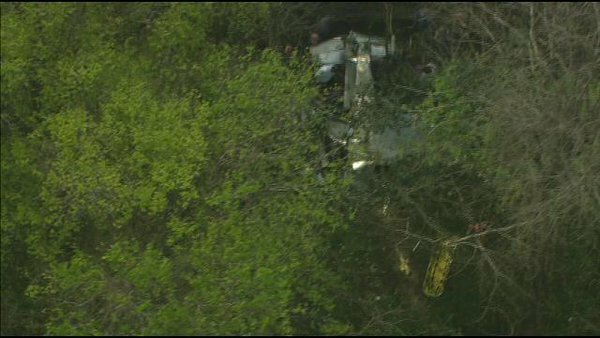 Deputies say the pilot 59-year-old Walker Hester of Atlanta was killed instantly. Hester is well-known in aviation circles, he's a Navy Veteran and flew Boeing 777's commercially with Delta before he retired. Deputies with the Chesterfield County Sheriff's Office learned about the crash from a farmer who witnessed it. "After an extensive search and help with a helicopter some debris on the Pee Dee river in some of the thickest swamp in the County," said Sheriff Jay Brooks. "Started a search with boats on foot and 4-wheelers, and the plane was located in a couple of hours." Brooks says the farmer told him the aircraft clipped a power line and went straight down crushing the cockpit and killing the pilot instantly. Hester kept his experimental aircraft at the Cheraw Airport and would often make the commute to get some hours in flying. 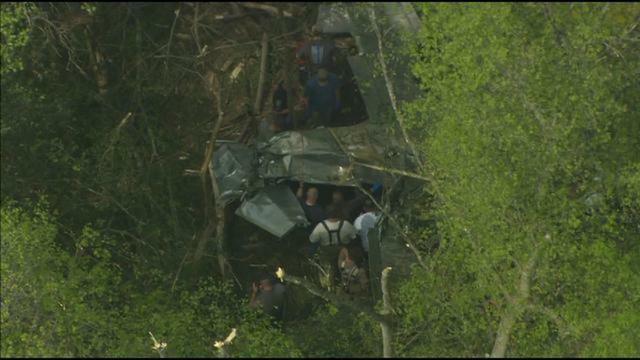 CHERAW, S.C. (WPDE) — One person has died after a small plane crashed in the woods near the Pee Dee River in Chesterfield County, according to Chesterfield County Sheriff Jay Brooks. The person killed was the pilot of a small, single-engine plane, Brooks said. The body of the pilot is currently in the custody of the Chesterfield County Coroner's Office and the identity will be released later, he said. The plane was found about 100 yards into the woods from the Pee Dee River near Legion Road. Crews are waiting on the Federal Aviation Administration and the National Transportation Safety Board before trying to move the wreckage, Brooks said. He said the area is too dense to get to the wreckage and it will likely have to be disassembled and floated back to the landing. 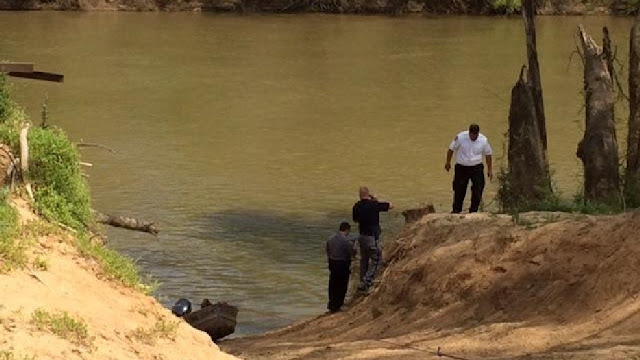 Deputies were on the scene of a deadly plane crash near Cheraw, in a swampy area of the Pee Dee River Thursday morning, according to Chesterfield County Sheriff Jay Brooks. The small plane was missing around 10:15 a.m. along the Pee Dee River, off of Highway 52 North, according to Brooks. Brooks told Channel 9 that the pilot was killed and that nobody else was on the plane. Officials said they're having trouble getting to where the wreckage was because of how remote the area is.